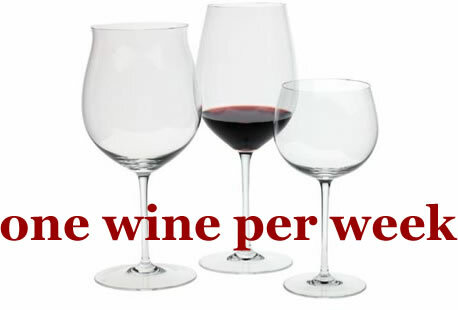 One Wine Per Week: Left or Right? A friend of mine sent me that picture embedded in an e-mail. The dancer was spinning clockwise. She said to her it was spinning counter-clockwise. I thought maybe this was supposed to be a trick or something, or she was trying to make me think I was crazy, but she insisted for her it was counter-clockwise. Then my wife got home from shopping so I asked her to take a look at it. “Counter-clockwise,” she said matter-of-factly. I turned my hand in a clockwise motion and told her it was spinning this way. She moved her hand in a counter-clockwise motion and said no, it was spinning that way. So what does that have to do with anything, especially with wine? According to the article that came with the picture, “right-brained” people see the dancer moving clockwise, whereas “left-brained” people see the dancer spinning counter-clockwise. Most people see it as counter-clockwise. Some of the above terms are getting out into space if you ask me, but I think you get the general idea of the difference between the two types. So as far as what does this have to do with wine, my question is, which way did you perceive the dancer as turning, and is the category you are supposedly in (right versus left-brained) say something about the way that you select and taste wine, and document your experience? Now I do have to say that as I continued to stare at the picture, at times the dancer would abruptly reverse direction and begin spinning counter-clockwise. I thought maybe this was some trick of the graphic but since my wife and I saw her spinning in different directions at the same time, I guess there is no trickery involved. The vast majority of the time she is spinning clockwise, however. In applying this to my own wine habits – am I “right-brained?” I think when it comes to purchases/selections, yes – I really don’t seem to have much of a rational sense. It’s more like buying something that seems attractive to me (within budget, of course). And those of you who read this blog know that it can move pretty far off the wall. But my tasting notes? Left-brained. I always feel like my tasting notes sound like a grade-school book report or note in a corporation’s annual report: dry, dry, dry (the writing, not the wine style!). But I’m thinking, there are only so many terms you can use to describe something and if you get too flowery in your prose, no one will know what the heck you’re talking about. Well, next tasting note maybe I’ll try applying more of a “right-brained” style and hope I don’t leave you scratching your heads! Meanwhile.. for your own self, do you find any correlation between the dancer’s perceived direction and your own wine habits style? Addendum: Thank you all for your well-wishes for recovery from my recent surgery. The doctor informed me that the growth was deemed to be “stage one,” contained and hadn’t spread, and it appears no further treatment, such as chemotherapy, will be needed. Yay! I’m taking one more week’s break from wine, mainly because my appetite is bigger than my stomach capacity right now (still stapled up) so I want to wait until I can really appreciate the liquid. But once again, thank you! Cool post. I'm right-brained. I think I drink and pick wine in a right-brained way. But I think the only people who do wine reviews in a right brain way live at Chateau Petrogasm! Great news about the surgery. Feel better soon! I am right handed but left eyed. The top half was clockwise, the bottom half counter. I find Ch. Pet. too vivid at times. I don't know what to think! I do know that I am happy to hear about your prognosis. I had a similar experience with my thyroid a couple years ago. Congratulations! Thanks for your comments and also your well wishes, Dr. Debs and El Jefe. And also regarding El Jefe's perception of the dancer's motion - sounds a bit 'twisted,' if you ask me!